During Advent we celebrate the amazing gift God gave – Jesus! This gift changed the world. It is with this same spirit of generosity that we too can make a difference for countless others in our global village this Christmas season. Together we can start an Advent revolution. Challenge your congregation to do Advent differently. For each week of Advent, read the story on the back of the PWS&D Advent liturgy, complete the weekly challenge and share the gifts of hope, peace, joy and love that enable abundant life—at home and around the world. Download the Advent Challenge resource or order a printed copy by contacting Anna Muir (amuir [at] presbyterian [dot] ca, 1-800-619-7301 ext. 293). 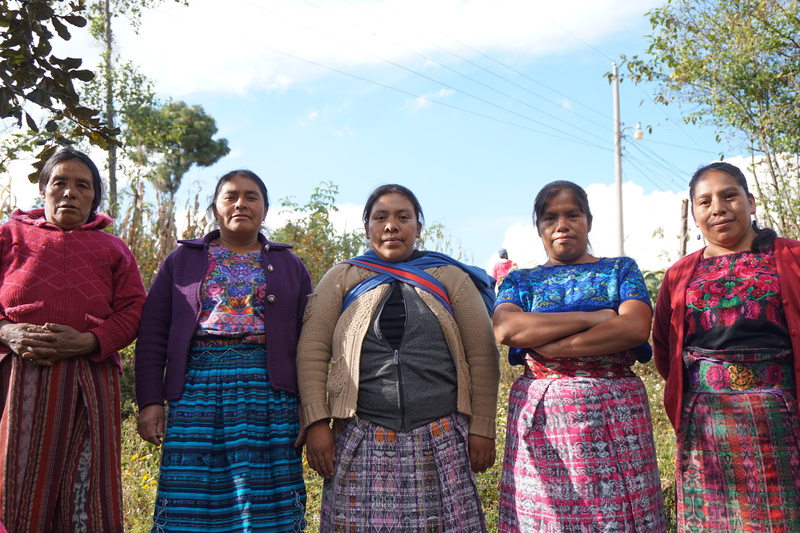 In rural Guatemala, women have unequal status in society, simply because of their gender. Read Beatriz’s story, “Taking the First Steps to Combat Oppression” found on the back of PWS&D’s first Advent liturgy. In many countries around the world, women have unequal status in society, simply because of their gender. Lacking opportunities to develop their gifts and abilities, women are left further behind. Women’s empowerment is critical to challenge poverty and build a more sustainable world. PWS&D responds by empowering marginalized women to claim their rights, become leaders and achieve economic independence. In Canada, many women living in vulnerable situations face barriers to a life of safety, self-determination and respect. This Advent season, volunteer your time at a local women’s shelter, offering sanctuary and support to women who need to heal. Help lift the veil of oppression preventing women and girls from becoming leaders in their communities. $200 trains a woman in advocacy and empowers political participation. 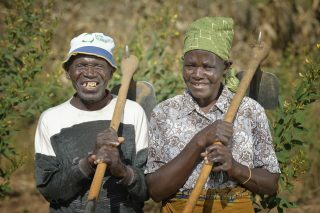 Read Junayet’s story, “Finding Peace in the Kindness of Others” found on the back of PWS&D’s second Advent liturgy. 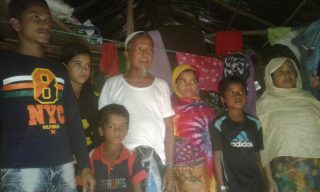 Since August 2017, over 700,000 Rohingya have fled Myanmar because of ethnic violence and ruthless human rights violations. With members of the Canadian Foodgrains Bank and ACT Alliance, PWS&D has responded to the needs of families settled in the Cox’s Bazar region of Bangladesh, helping to provide life-saving food packages as well as shelter, hygiene kits, emergency health care, and water and sanitation. Challenge youth and members of your congregation, school or community to participate in Forced to Flee, a simulation activity produced by the Canadian Foodgrains Bank based on decision-making during conflict and migration. Give the Gift of Relief! Remind refugees of the peace of Christ by providing uprooted families with emergency support while they wait for a chance to return home. $38 supplies essential hygiene items to a displaced family. Read Fiskani’s story “A Joyful Pregnancy for the Whole Family” found of the back of PWS&D’s third Advent liturgy. Half of women in developing countries have no access to skilled health care during childbirth, which can pose a serious risk to the well-being of both mother and child. Improving the health of mothers and children is vital for the long-term stability and prosperity of families and communities. That’s why PWS&D is working to improve access to maternal, newborn and child health services in vulnerable parts of Malawi and Afghanistan, where maternal mortality rates are among the highest in the world. For families living in remote, rural parts of Malawi, distances to health facilities can be considerable, and vehicles for transportation are rarely available. As a result, many women won’t access care during pregnancy and will give birth at home where they are more vulnerable to infection and other complications. To better appreciate and reflect on the journey many women must take to access safe prenatal care, map out a safe 10 km route in your neighbourhood to walk with family, friends, classmates or members of your congregation. Give the Gift of Healthy Families! Build support for maternal and child health care among families and communities so that moms and babies have the best chance for a healthy future. $150 buys a bicycle for a community volunteer promoting maternal and child health. 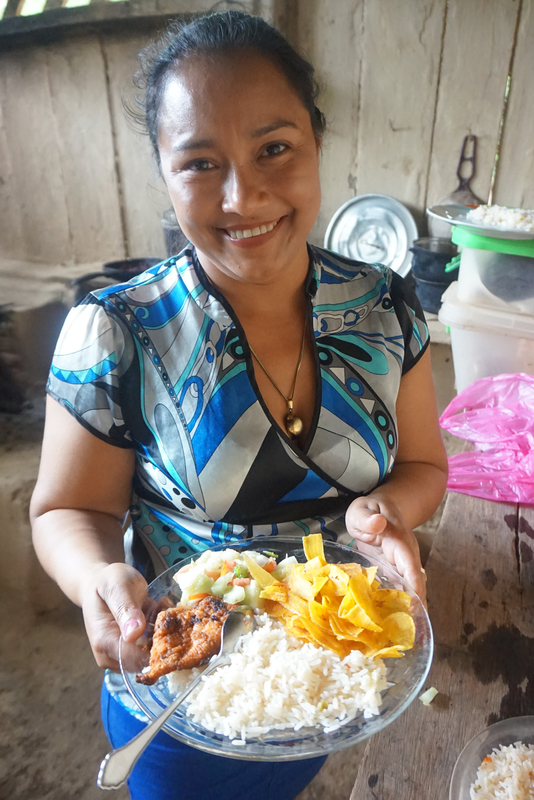 With support from PWS&D, families in Nicaragua are improving their nutrition. 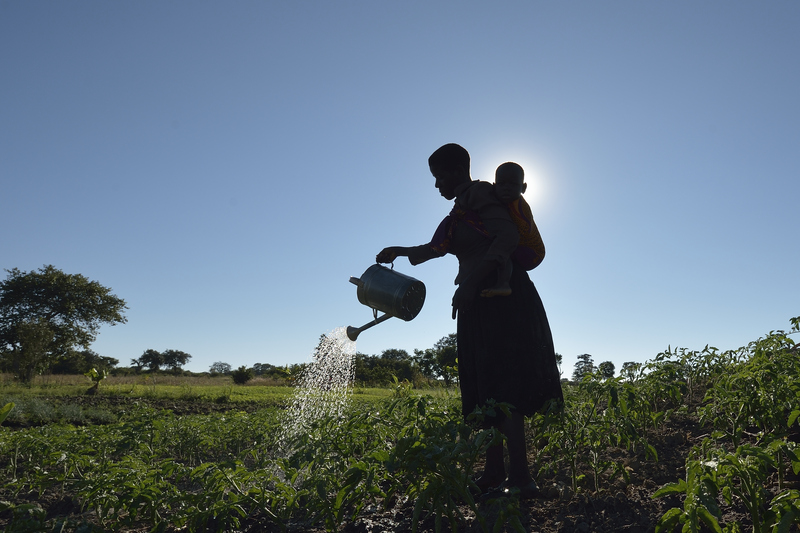 Read Sandra’s story “Healthy Futures Start from the Ground” found on the back of PWS&D’s fourth Advent liturgy. Getting enough nutritious food to eat is a challenge in parts of the world experiencing high rates of poverty, unpredictable weather and conflict. Without the right type of food early on, many young children experience nutrient deficiencies, which can cause illness and delays in growth. 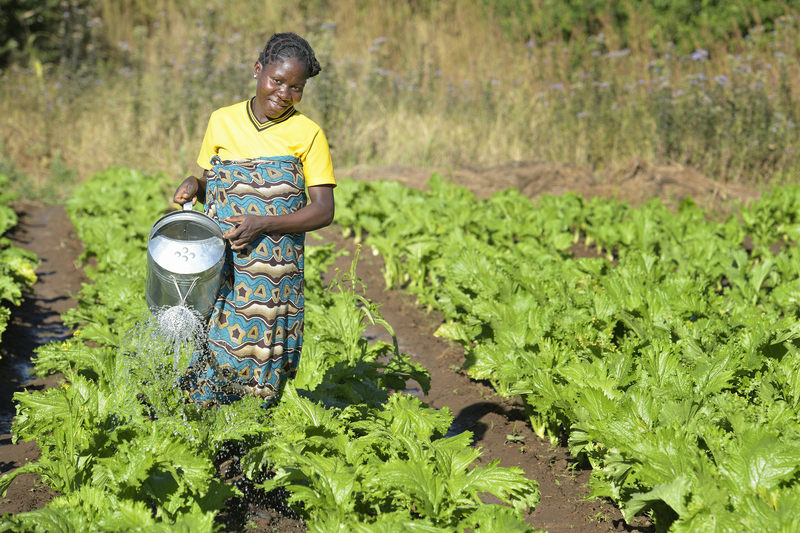 By teaching moms and dads about proper nutrition and how to grow and prepare the types of food that fuel bodies and minds, PWS&D is helping future generations thrive. Encourage at least 10 people you know to participate in the Canadian Foodgrains Bank’s I Care campaign. By signing an “I care” postcard addressed to the prime minster, Canadians demonstrate support for Canada’s role in helping to end global hunger and poverty. Visit WeRespond.ca/i-care to learn more and order postcards. Give the Gift of Nourishment! Help families learn to fuel their bodies and minds with nutritious food needed for healthy, vibrant futures. $57 buys avocado, peach, plum and other fruit trees for a family. In the midst of poverty, hunger and disaster, the light of the Christ candle shines. As we celebrate the birth of Christ, we remember God’s promise of abundant life and give the gifts of hope, peace, joy and love to serve vulnerable communities across the globe. Challenge your congregation to hold a special offering to support the work of PWS&D. Your contribution will make a difference in the lives of people living in some of the most disadvantaged areas of the world. Show us how you’re doing Advent differently! Follow PWS&D on Facebook, Instagram and Twitter and tag us in your Advent Challenge posts and photos. Use the hashtag #AdventChallenge18. You can also send your stories and photos to Anna Muir at amuir [at] presbyterian [dot] ca and we will share them online.